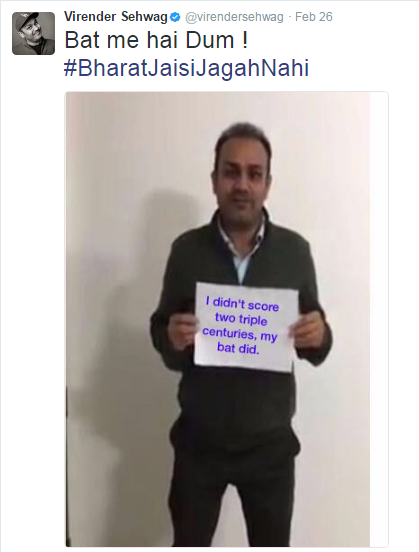 What really matters: It's Nationals vs Anti-Nationals on Twitter! 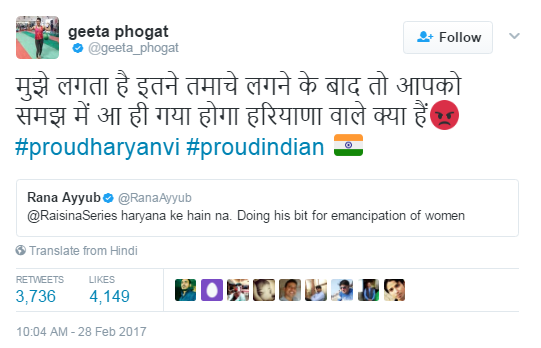 It's Nationals vs Anti-Nationals on Twitter! The storm is rising again. Leftists and the 'thekedaar' of free speech have got something to cry about. They have found a girl in DU that believes in their ideology and what's special about her is that she is the daughter of a Kargil martyr. Haven't they found gold! She raised her voice against the ABVP who tried to stop Umer Khalid from doing a JNU in the DU. Soon an older video surfaced where she talked about making peace with Pakistan. In the video she claimed to be a daughter of Kargil war martyr, which later on proved wrong as her father did not die in Kargil war but in an counter insurgency operation later on. Though it does not make him less of a martyr but they probably used Kargil war in that video as it suited the script better! But what's interesting is that many among the prominent personalities are not shying away from showing these so called 'liberals' their place on social media. 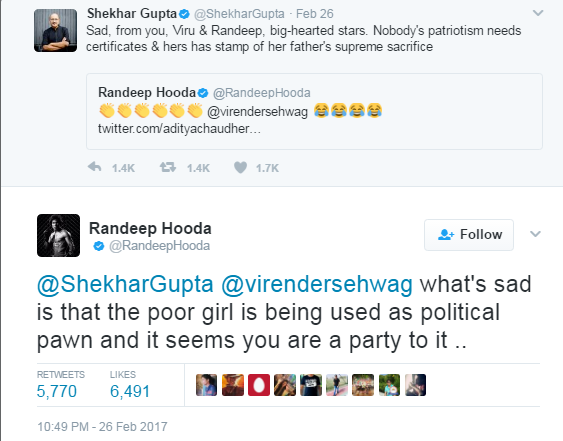 But Randeep did not take much time to show Shekhar his place. 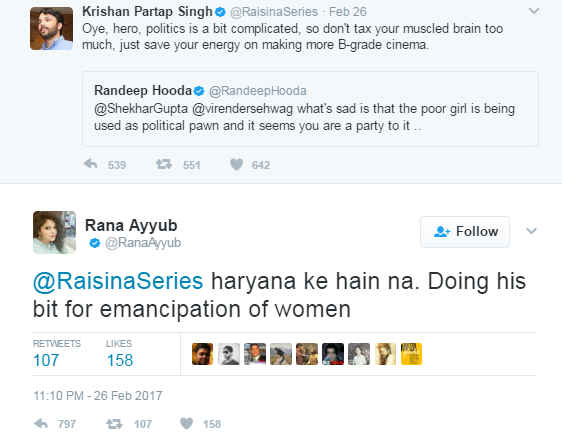 Another solider of free speech in the media, the well known Rana Ayyub pitched in but she dug her own grave like she normally does! 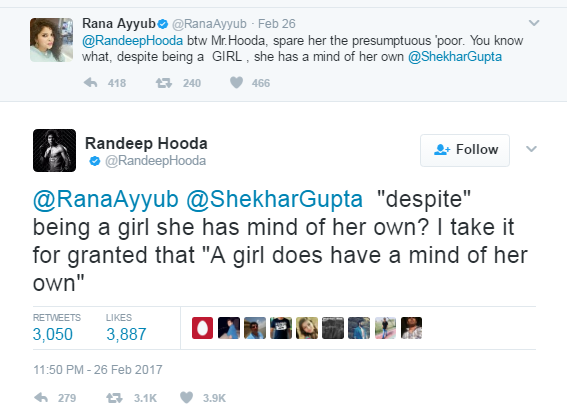 Nailed again by Randeep. 'Despite being a girl'? Seriously? This is as stupid as one can get. Two min silence for her employers. This was bound to raise storm and the honours were done by none other than Phogat sisters themselves! 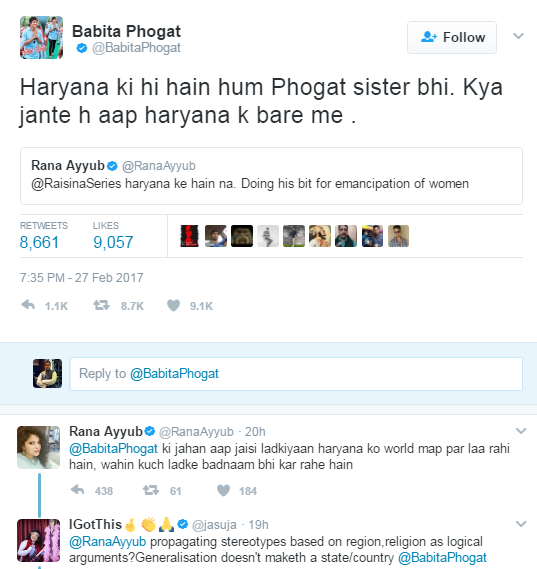 See Rana's follow up reply, she could not say anything against Babita however much she wanted to. Got pinned down already, the salt on the wound was rubbed by the elder sis, Geeta!